Browse Rockwall, TX real estate listings and homes for sale in Rockwall County. 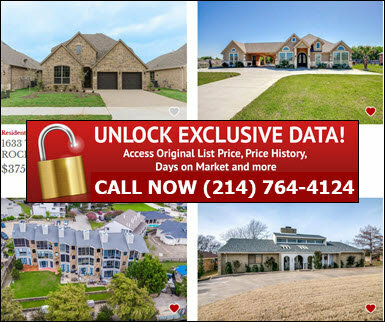 Unlock detailed reports on Rockwall homes for sale including community statistics, neighborhood information, Rockwall ISD details, nearby amenities including Lake Ray Hubbard, virtual tours, 360 virtual reality photo tours, new drive time map search and more. Rockwall, TX is a growing community with over 44,000 residents. Rockwall, Tx Real Estate offers a variety of housing options including urban midrise condos, farm/ranch, luxury homes and estates, waterfront homes and condos, and contemporary modern apartments. As Rockwall's population continues to grow, demand for housing is increasing as well. With plenty of land to develop, Rockwall home builders are planning new neighborhoods and subdivisions with waterfront master planned communities and mixed-use Rockwall walkable urban districts that offer residents a live, work and play lifestyle with offices, restaurants, shops, apartments, condo and townhomes all mixed in together. One of the first new urban developments that has become extremely popular with local residents is Rockwall Harbor. Rockwall Harbor is located on Lake Ray Hubbard and includes retail, office, restaurants in a walkable urban lakefront harbor district with waterfront homes and condos on the eastern shore of Lake Ray Hubbard. If you're interested in waterfront homes or condos in Rockwall or other housing options including new and pre-owned homes, contact on of our Rockwall real estate agents at (214) 764-4124 and let us help you find your next dream home! Whether you're needing assistance buying a Rockwall home for sale, selling a waterfront condo or lakeside townhome, or investing in land to build your own new custom home in Rockwall, we've got you covered! We also have rental locators in Rockwall that can help you find homes for rent and new apartments such as Florence at The Harbor, a new luxury urban waterfront apartment community coming soon in Rockwall overlooking Lake Ray Hubbard! When it comes to convenience, our Rockwall real estate search is unparalleled. Whether you're in the comfort of your home, or on the go, our site works flawlessly on multiple devices so you can search Rockwall homes for sale with ease. Receive listing updates on Rockwall home listings that match your search criteria, the 1st day on market! By combining modern technology with local expertise, our Rockwall Realtors are able to deliver an unmatched level of customer service! Search Rockwall real estate for homes including pre owned, new construction, bank foreclosures, auction and short sale home listings in Rockwall. 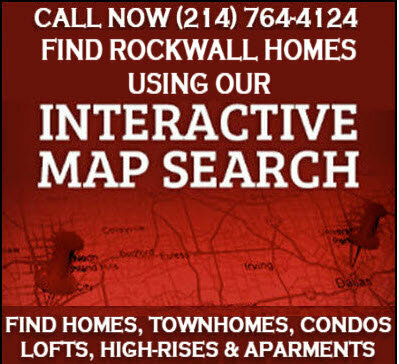 We offer multiple options to Rockwall homes for sale including search by listing number, address, city, county, zip code, school district, subdivision, polygonal map, radius map and new drive time map search. In addition to Rockwall homes for sale that are currently listed on our site, we can also help you find homes in Rockwall not listed in the MLS including pocket listings, coming soon homes and new homes for sale in Rockwall, Texas. 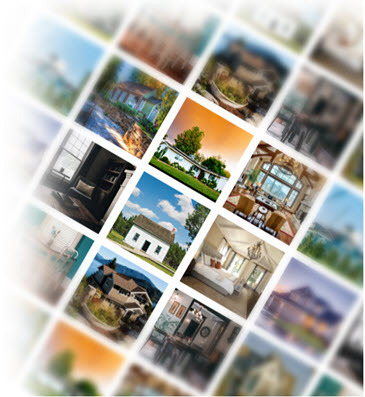 Our new home search can help you find Rockwall new homes for sale by location, home type, architecture, floor plan, promotions, new home community, builder name and amenities including golf course, waterfront, senior communities. Rockwall is in demand right now and home builders are working overtime to resupply new home inventory especially Rockwall new waterfront homes on Lake Ray Hubbard including condominiums and townhomes! Find Discounts, Incentives and Rebates on New Rockwall Homes! We work with all Rockwall home builders and can help you find new homes for sale in Rockwall offering the best builder discounts and incentives available! We've helped home buyers take advantage of pre-construction pricing on coming soon new home communities in Rockwall, find grand opening and special promotional events with discounted pricing and free upgrades on Rockwall new custom homes and cash in on huge price breaks and savings on Rockwall new home builder closeout inventory. Our agents specialize in all Rockwall, TX neighborhoods and communities including lakefront home communities in Rockwall on Lake Ray Hubbard in Rockwall Harbor. Contact us at (214) 764-4124 to request property details and showings on homes for sale in Rockwall, Texas and let us take care of all your Rockwall real estate needs! 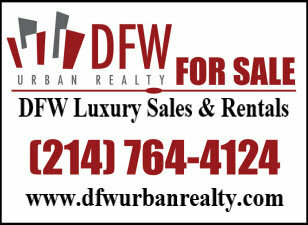 If you're buying and selling a Rockwall home or condo, we can offer you a discount on our listing services! Sell your home in Rockwall, Texas and save thousands in Realtor commissions! We offer a full listing service that is guaranteed to get you maximum traffic when you list your home in Rockwall with one of our Realtors. Don't take our word for it, contact one of our Rockwall Realtors and we'll walk you through and show you the traffic and results our site can generate for your home in Rockwall! We have dozens of new buyers and renters contacting us daily to request property details and showings on homes for sale in Rockwall and surrounding areas. There is a great chance the next inquiry we receive could be the perfect home buyer or tenant for your Rockwall home! We are one of the leaders in online marketing and social networking for everything real estate related in Rockwall, Texas! We have thousands of visitors coming to our site daily to search homes, new homes, waterfront homes, townhomes, condos, lofts, high-rises and apartments. We also manage several online social networks including the #1 Dallas Real Estate Network on Facebook which has been running for over a decade and has a combined membership of over 20,000 members. Your Rockwall home will be advertised front and center to all members which are mostly home buyers, renters, investors and other Realtors using our group to market their client's property! Contact one of our Realtors in Rockwall at (214) 764-4124 and let's discuss the best listing strategy to secure a tenant or buyer for your home in Rockwall today! Rockwall, Texas is located just outside of Downtown Dallas and sits on Lake Ray Hubbard in Rockwall County. Rockwall offers many housing options including homes, waterfront homes, townhomes, condos, lofts and apartments. Rockwall has transformed over the years from a primarily rural suburban city into a progressive modern mixed use urban waterfront community at Rockwall Harbor offering lakefront condos, homes, shops, restaurants and other commercial and residential real estate in Rockwall, TX.